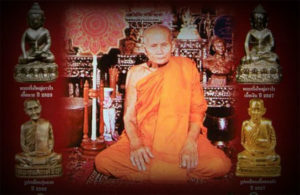 Pra Kroo Nanta Samanawat (Luang Phu Rian Thawaro), was the abbot of Wat Bang Rahoeng, and the Arch Bishop of Bang Grang-Bang Rak Noi Municipality in Nontaburi. 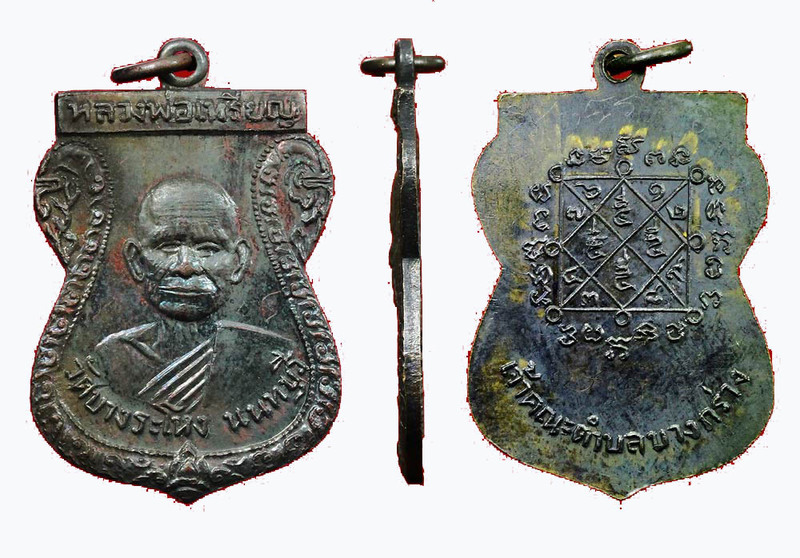 Luang Phu Rian was extremely famous for his Takrut, Bia Gae, and Pla Tapian Koo fish origami amulets, and his Monk Coins. 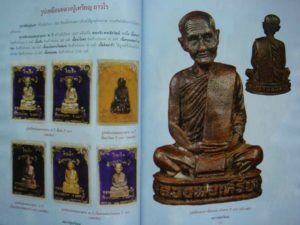 He was born in gthe year 2539 BE (Circa), in the town of Nakorn Rachasima (Korat) in the Municipality of Don Madtan. He was born under the name of ‘Rian’, which means ‘coin’. His father’s name was Mr. Daeng sangkarat, and his mother’s name was Mrs. Yu Sangkarat. During his youth he lived the normal life of a country town boy, and went through all the adventures and trials and troubled a normal child would go through. 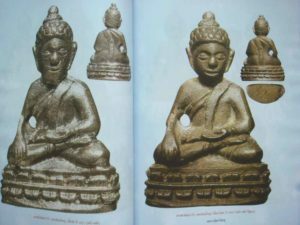 The Takrut Jakkapat of Luang Phu Rian became very famous after a Malaysian Devotee who wore one was attacked by somebody with a long sharp rubber tree cutting knife. The devotee’s shirt was ripped to shreds from the blade, but his skin was completely unharmed. 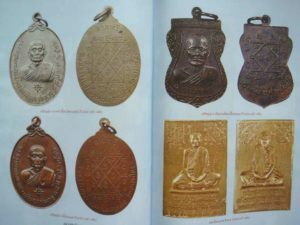 Other famous amulets of Luang Phu Rian are; 1. 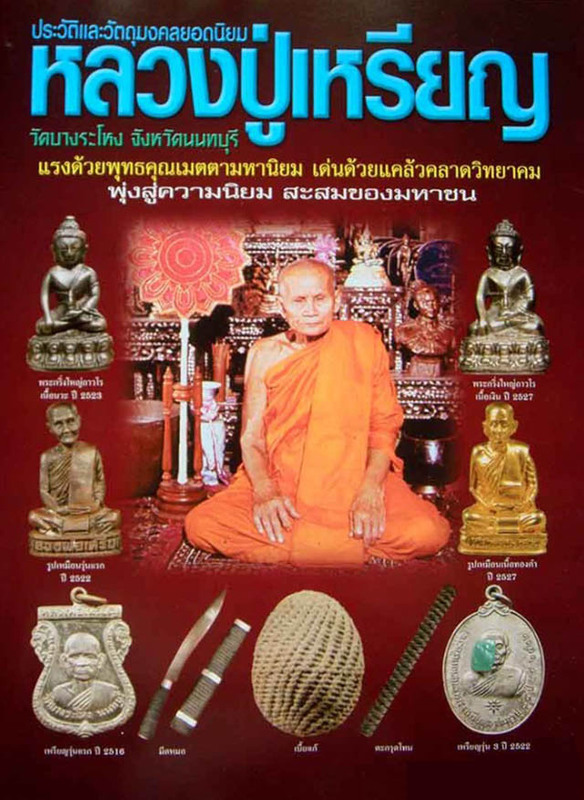 Pra Kring – Chaiyawat 2523 BE, 2. 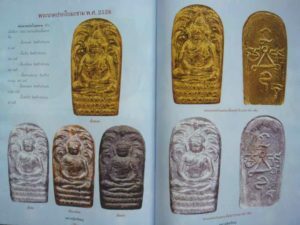 Pra Kring – Chaiyawat 2527 BE, 3. 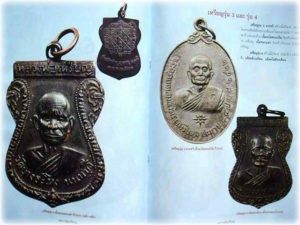 Pra Roop Muean 2522, and 2527 BE, 4. 1st Edition Coin (Rian Run Raek) 2516 BE, 5. 2nd Edition Coin (Rian Run Sorng) 2521 BE, 3rd and 4th Edition Coin (Rian Run Sam, Run See), 5. 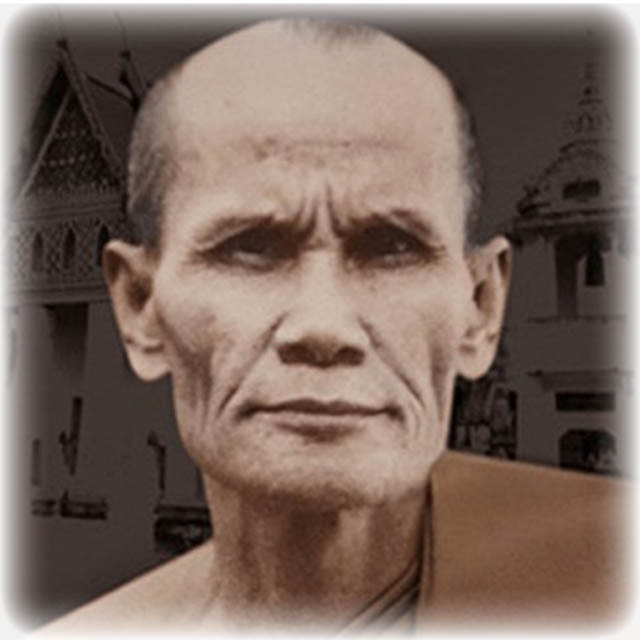 Pra Nakprok Bai Makham 2528 BE, 6. 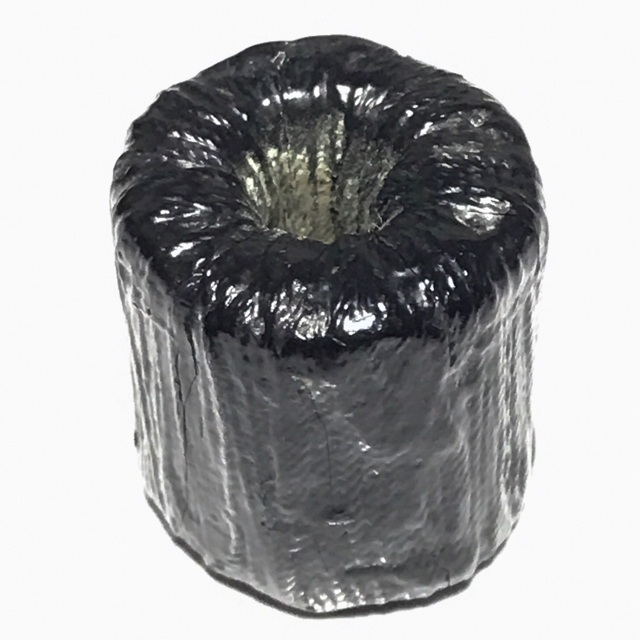 Fifth (and final) Edition Coin (Rian Run Sud Tai) 2531 BE, 7. 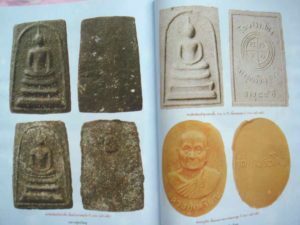 Various Muan Sarn Sacred Powders Amulets, especially Pra Pid Ta, 8. 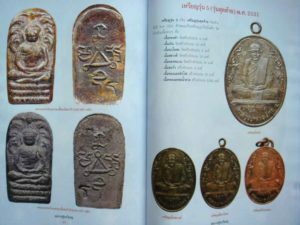 Many forms of Takrut and other Talismanic Charms, especially his Pla Tapian lucky fish, which he would make in Origami style fashion from folded silver Yantra Foils. 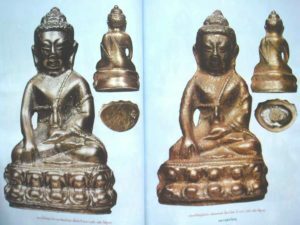 Luang Phu Rian lived a life free of illnesses and afflictions, until the end of his life, when in the year 2531 BE, he had terrible stomach ache and drank some ‘ya Tat’ herbal medicine, but it was to no avail. He was transported to hospital and treated, and returned to the temple, but had to keep going back to the hospital as the ailment came back again many times. 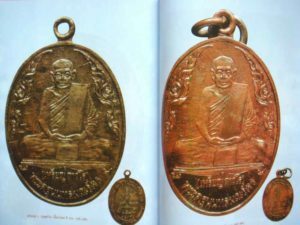 Finally, hen was ingressed into Thonburi Hospital, and diagnosed with lung cancer, and on the 17th April 2531 BE, he entered Hospital for the final time. 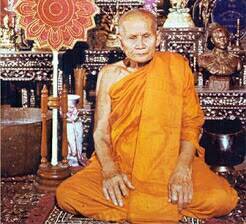 On the 27th April 2531 BE, he passed away peacefully at the age of 92, after 62 years of ordained life in the Sangha.